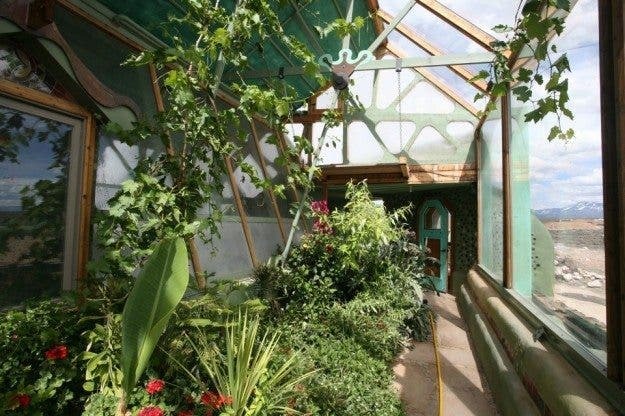 The Earthship is equipped with 2 greenhouses that can grow crops through the whole year! 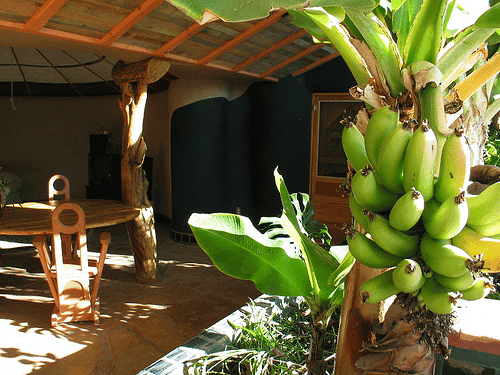 That means that no matter what the climate is, you can eat vegetables and fruits for free by growing them in your own house. 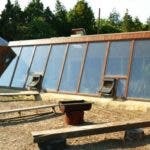 If you need meat or eggs, you can also build a chicken coop into your Earthship. A fish pond is also a great option for the seafood lovers! You can use renewable sources like solar panels and wind turbines to provide all the power your home needs. That is, of course, if you’re not the senseless consumer modern society taught you to be. 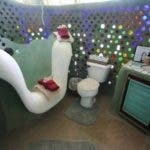 Whenever it rains, the roof of the Earthship collects the water in a cistern, which then distributes it to sinks and showers. The used ‘gray water’ from the sinks and showers is then pumped into the greenhouse to water the plants. At this point water is cleaned by the plants and it’s ready for use again– that’s why it’s pumped back to the bathrooms for the toilets. After that the water from the toilet is pumped to the outdoor garden to give nutrients to non-edible plants. 4. A secure shelter for any weather. 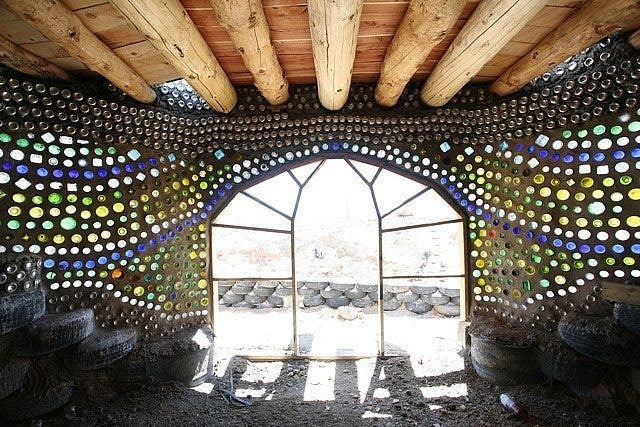 Earthships are adapted to any kind of climate– no matter if it’s freezing cold or hot like hell, Earthships sustain a constant temperature of around 70 degrees Fahrenheit (22 degrees Celsius). 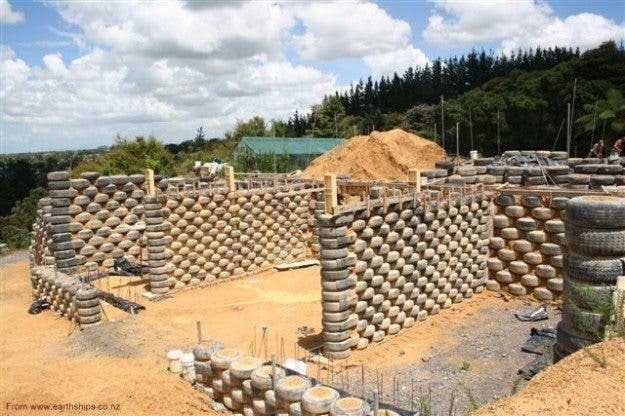 The secret is in the structure of the building– tires filled with dirt or ‘thermal mass’. Through this method, solar power is being absorbed and can also be released depending on the interior’s temperature. 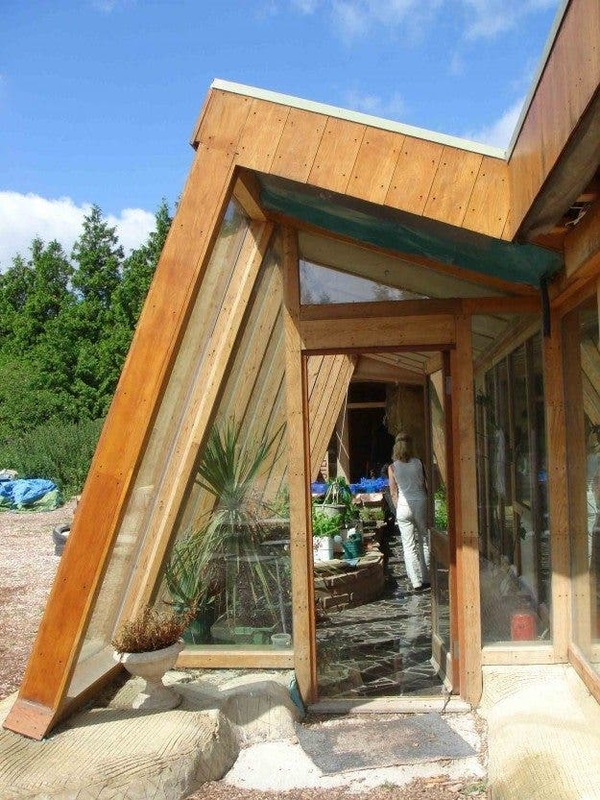 In order for the sun to heat up the thermal mass, the large front windows of the greenhouse should be facing south. 5. No bills = freedom. Having all those basic necessities for free brings us to the next huge advantage– you’ve freed yourself from the modern form of slavery! You no longer need to work in order to survive– no more wasted valuable time! You can fully concentrate on the things you love doing and on improving yourself and the world around you. 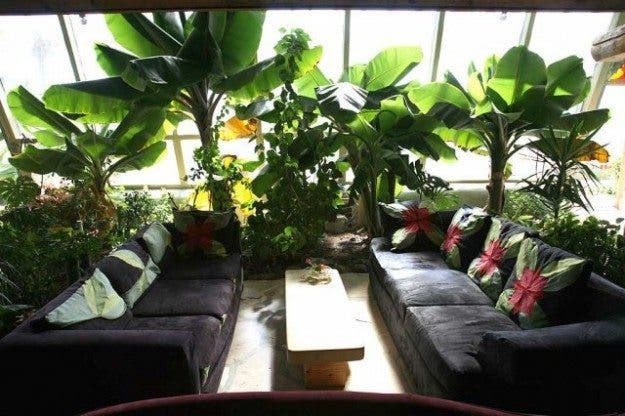 The only responsibility you’ll have will be to take care of your greenhouse and Earthship, which is totally worth it! Imagine the world we’d live in if everyone had that much free time to do the things they truly love to do instead of working jobs they don’t even like! 6. Build your own one! 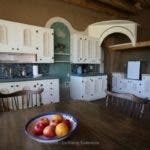 This can be done surprisingly fast even by an amateur builder! 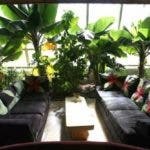 A fine example of that is a married couple, who built their own 3-story Earthship by themselves in 3 months. 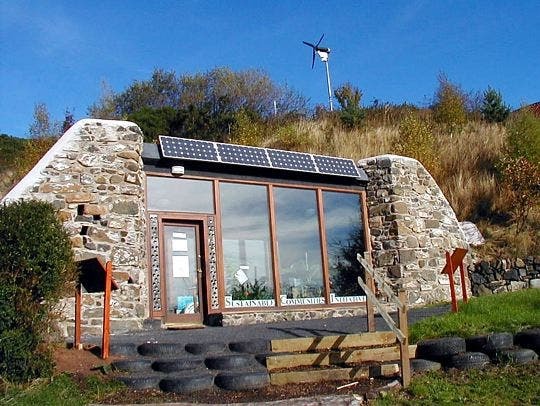 They both had no experience in construction and managed to build their green home using only printed schematics. No workers were hired nor were the costs for equipment high. If a couple in their forties can do it– anyone can, too. 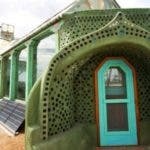 Earthships are pretty cheap compared to universal houses. They vary from 7,000 to 70,000, depending on whether you want an average or a huge one. The price fits buyers from all social classes. 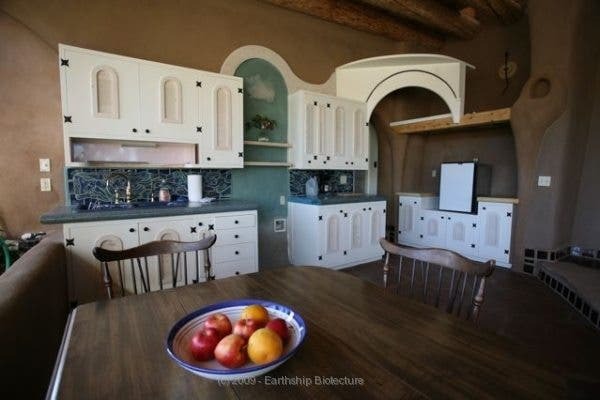 The basic parts of the Earthship are recycled byproducts– that’s the reason why they are so cheap. 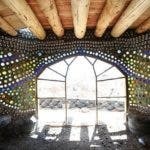 As I mentioned above, tires filled with dirt make up the structure of the Earthship. 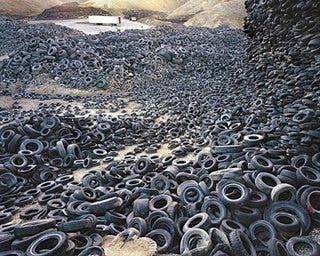 Used tires are pretty easy to acquire and there are places where they’ll actually pay you to take them away! Another example are the walls– they are concreted plastic and glass bottles. I’m sure you can find these and a lot of the other materials needed pretty easily in every urban environment. 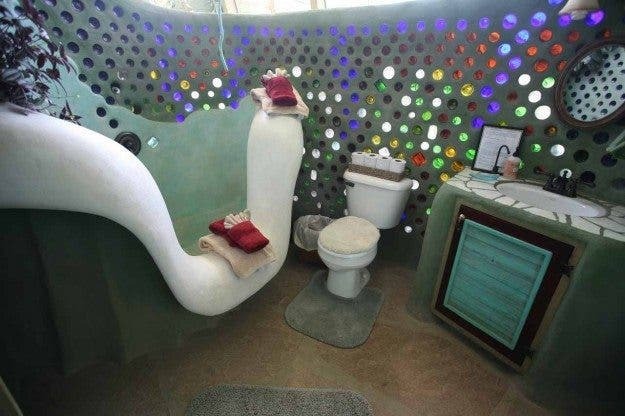 Earthships succeed in one thing for sure– encouraging people to think differently. They inspire us to build our human society in harmony with nature and not against it. 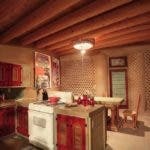 What if we apply the sustainable model not only in our homes but in the world around us? What else can we make cheaper, more sustainable and Eco-friendly ? 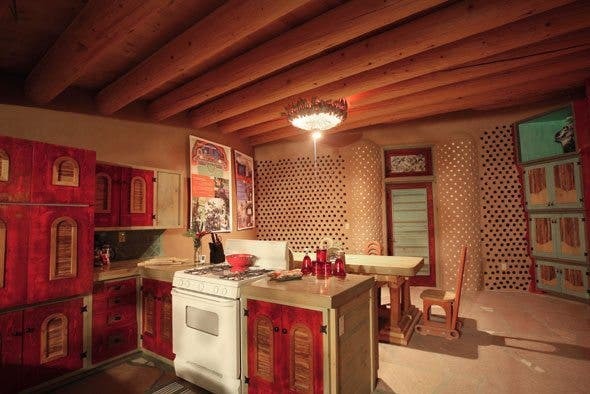 The supporters and activists of the Earthships carry the same values as the Earthship itself. 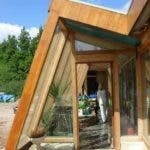 There are widely spread movements around the world that build sustainable homes in different countries. If you don’t want to live alone or build one by yourself, you can always contact such organizations and be a part of spreading the change! Hat tip to High Existance for inspiring us and providing the images.